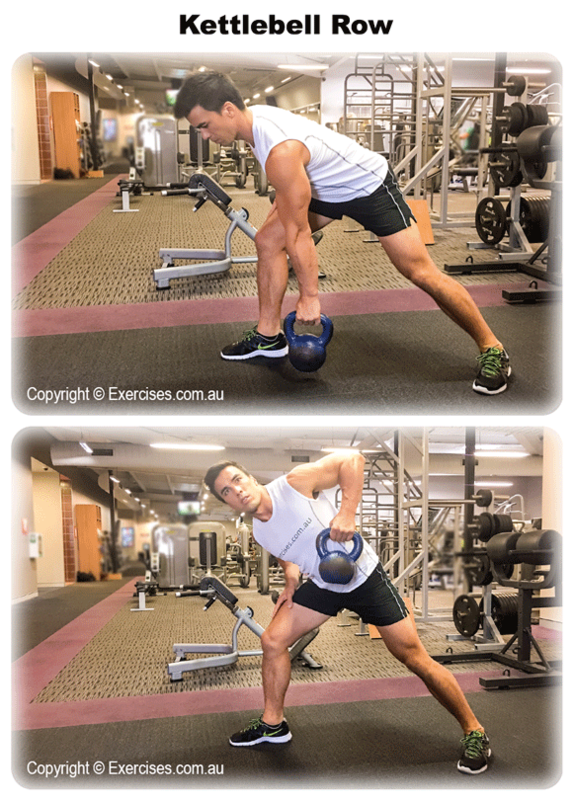 Kettlebell Row is an effective exercise to target your lats, rear shoulders, traps, biceps and forearm muscles. Because you are working each side unilaterally, you will engage your core muscles to stabilise the upper body and support the lower back. Kettlebell Row builds muscle and also develops coordination, balance and functional strength. Stand with your feet shoulder width apart, slight bend on your knees and pick up a Kettlebell. Bent over from the hip to bring the Kettlebell forward and slightly away from the body. The Kettlebell should be in line with your chest. This position isolates the side of the lats. Row the Kettlebell toward your lats and finish at a point where you feel a contraction on the scapulae and a pinch on the rear shoulder. Bring the Kettlebell back to starting position. Make sure you get a nice stretch at the bottom. After completing the reps on one side, bring the Kettlebell to the other hand and work the other side. 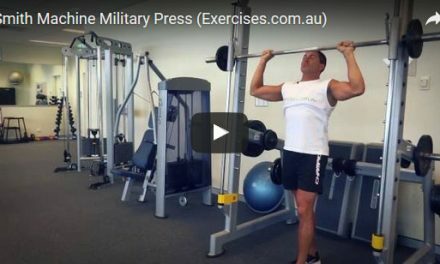 Maintain the exact position and target the same number of reps. 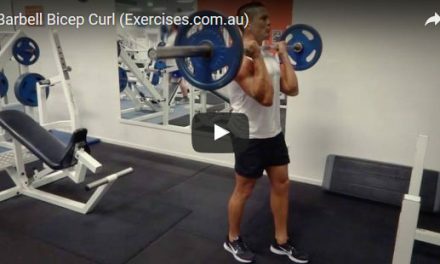 Always use strict form when doing a unilateral row because of the need to keep your balance.